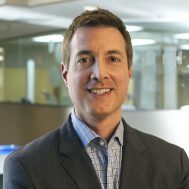 Chris is one of the original founders of Family Reach and serves as the Chair of the Board of Directors. The former husband of Kristine Morello-Wiatrak, who lost her fight against cancer in 1995, Chris saw firsthand how patients and families struggle to manage the overwhelming physical, emotional, and financial challenges of cancer and was determined, with Kristine, to offer solutions that reduced these tremendous burdens. Since 2003, Chris has worked for Genentech BioOncology, where he currently serves in a sales management role in the Northeast region. He has been recognized by his peers at Genentech for the efforts he and Family Reach have made in the fight against the financial toxicity of cancer, and the impact the organization has made on everyday families. As a family founder, Chris focuses on ensuring the mission of Family Reach endures and the CEO and operating team have the support they need to advance the cause. Rick is one of the original founders of Family Reach and serves as the Vice Chair of the Board of Directors. The brother of Kristine Morello-Wiatrak, who lost her fight against cancer in 1995, Rick works closely with the Family Reach CEO on the overall strategic direction of the organization and as well as marketing, finance, and business development functions. 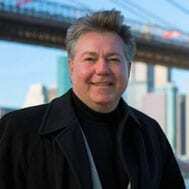 Rick is a seasoned healthcare industry executive with two decades of senior management and strategy consulting experience in medical device, pharmaceutical, health information technology, and healthcare delivery domains. Rick is currently the President of Life Sciences business unit at Aptus Health, a global digital health company owned by Merck. Prior to Aptus, Rick served as the President and CEO of Plasma Surgical, an innovative medical device company with technology used in oncology, gynecology, and general surgery. Rick was also a partner in the health and life sciences practice of Mercer Management Consulting, now part of Oliver Wyman. Andrea is one of the original founders of Family Reach and serves as the Secretary of the Board of Directors. Andrea and her husband, James, started the Christopher Colangelo Home Care Fund at Columbia Presbyterian Hospital after their son’s death in 1981. The Home Care Fund was founded to help families with palliative care and helped initiate the blueprint and development of Family Reach. Andrea is an active participant in the mission and is the appointed overseer of the organization’s unique and proven direct assistance process for patients and families. She collaborates closely with the Family Reach programs and social work team, and serves as an overall champion for families fighting cancer. Andrea holds a Masters degree in Educational Supervision and Administration and is a Certified School Psychologist. 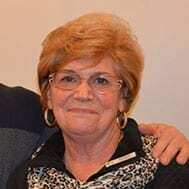 She served as the District Supervisor for Special Education for the Perth Amboy Board of Education in New Jersey where she managed and developed the special education programs for grades 7 through 12. She also served on the Board of Directors for the Saturday Morning Family Program. 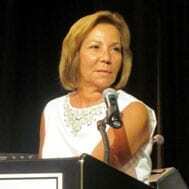 Donna Cunningham serves as Treasurer of Family Reach Foundation on the Board of Directors. She has been an active advisor and volunteer for the foundation since its incorporation in 2003. Donna is the President of ADP/Statewide Insurance Agencies, Inc. in Cedar Knolls, NJ, and her agency has served as a corporate sponsor for many of Family Reach’s annual events. Donna is also a Vice President and board member of the Professional Insurance Agents of NJ and is actively involved in several insurance company/agent councils. She is the former President of the Orange Chamber of Commerce, the Manton B. Metcalf Memorial Association, and the Orange Head Start Program. Peter is leveraging his expertise in real estate to help Family Reach address the financial burden of housing for our families, in addition to providing sound counsel. Peter works with the banking industry as well as state and federal officials to identify and address the need for loan modification for our cancer patients. As CEO and co-founder of Taurus Investment Holdings, Peter defines the overall strategy of the business and oversees its execution. Peter has negotiated, structured and closed more than $3 billion worth of complex real estate transactions, spanning over 20 years in numerous U.S. states and nine countries. Peter capitalizes on entrepreneurial opportunities and executes economically viable projects that yield long-term value for both investors and communities. Ming Tsai became involved with Family Reach after he met Carla Tardif, Family Reach CEO, in 2010. Ever since then he has been a tremendous advocate of the Family Reach mission and provides support on a number of fronts. As a celebrity chef and restaurateur, he hosts Family Reach families at his restaurants, offering them a rare night out to enjoy delicious food and a heavy dose of positive energy and encouragement. Ming has traveled to various Family Reach partner hospitals across the country, providing cooking demonstrations for cancer patients and their families and teaching them the importance of wholesome meals. He launched the Family Reach Cooking Live! event series and has raised over $5 million. Ming is the owner of the restaurant Blue Dragon in Boston, MA. Ming has also hosted several shows on the Food Network, including Emmy Award-Winning East Meets West with Ming Tsai. 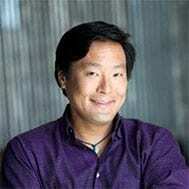 He is currently the executive producer and host of the public television show, Simply Ming. In addition to television, Ming has authored five cookbooks. Jennifer Winterhalter is a childhood friend of Kristine Morello-Wiatrak and long-time supporter and ambassador for Family Reach. Her memories of Kristine are what continue to inspire her to help families facing the financial burden of a cancer diagnosis. She has participated on numerous event committees and remains dedicated to the mission. Jennifer is the Vice President for Revenue Management at Amneal Pharmaceuticals, a company with the philosophy of giving back and supporting the community. Dr. Yousuf Zafar’s research has played an essential role in the development of many Family Reach initiatives. He is a gastrointestinal medical oncologist and healthcare delivery researcher. 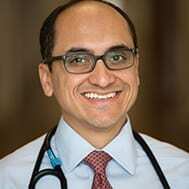 Dr. Zafar is an Associate Professor of Medicine and Public Policy at the Duke Cancer Institute, Sanford School of Public Policy, and Margolis Center for Health Policy. 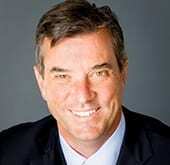 He serves as Director of the Center for Applied Cancer Health Policy at the Duke Cancer Institute. He is passionate about ways to improve care delivery for patients with cancer with a primary focus on improving the affordability of cancer treatment, through both a patient-based and policy focus. Dr. Zafar is a member of the Alliance for Clinical Trials in Oncology’s Cancer Care Delivery Committee and the American Society of Clinical Oncology’s Government Relations Committee. His research has been funded by the National Institutes of Health, the American Cancer Society, and the CALGB Foundation. 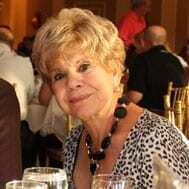 Lucille Ditta is a Board Director and a member of the Fundraising and Family Case Review committees. Lucille has led numerous efforts to engage new individual and business sponsors for Family Reach. She has also played a key role in achieving record fundraising results for several events. Lucille serves as a Securities Trader with Wien Securities Corporation in Jersey City, NJ.